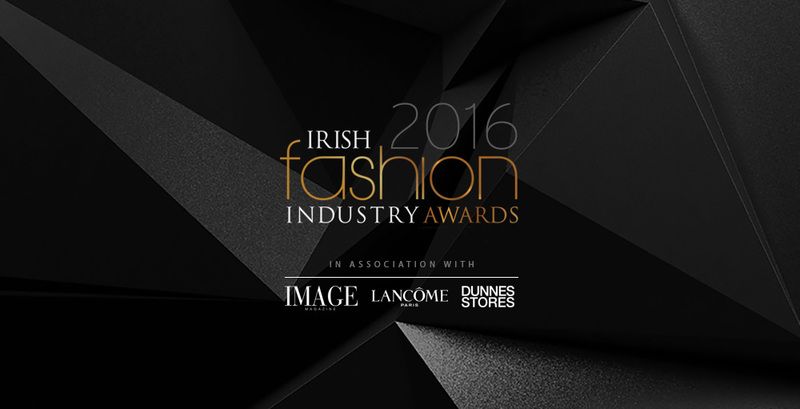 Entry is now OPEN for the 2016 Irish Fashion Industry Awards in association with IMAGE Magazine, Lancome Paris and Dunnes Stores. These prestigious Awards celebrate and recognise everyone working in the Irish Fashion Industry from emerging talents to established names. As well as categories for fashion and accessory designers, there are also awards for those that make it all happen behind the scenes . . . including make-up artists, fashion stylists, hair stylists, photographers, bloggers, models and retailers. Entry is FREE and there are 16 categories in total. Those wishing to be considered can enter themselves or can nominate someone who deserves to be awarded for their work. Good luck to all entrants. Winners will be announced at the awards ceremony on Friday 4th of March 2016, which will be the highlight event of KFW2016. More KFW2016 events will be announced very soon. Once again, KFW, in association with IMAGE Magazine, Lancome Paris and Dunnes Stores, celebrates the very best of new, emerging and established fashion industry talents, from designers to stylists, from all over Ireland. To enter or nominate for the Irish Fashion Industry Awards 2016 please complete the ONLINE ENTRY FORM. Entrants are welcome to enter more than one category if appropriate. Judges reserve the right to move entrants into another category if they deem it more appropriate. Judges reserve the right to nominate entrants to a category if they feel it is appropriate. Entrants can enter themselves or can be nominated by someone else. If you think someone deserves a 2016 Irish Fashion Industry Award and would like to nominate them for any of the award categories, simply complete the ONLINE ENTRY FORM with their details, and include your own details in the ‘Entered/Nominated by’ section. Nominations will be confidential unless otherwise requested. Open to any Irish based or Irish born Fashion Designer who is working in the fashion industry for more than 2 years – all disciplines. This award recognises designers who have made significant progress in their career and who are making a name for themselves in the industry. Open to any Irish based or Irish born Fashion Designer who is working in the fashion industry for less than 2 years – all disciplines. Open to any Irish based or Irish born Accessory Designer. Open to any Irish based or Irish born Fashion Design students (currently in third level) – all disciplines. Open to independent fashion stylists in Ireland. Open to independent make-up stylists in Ireland. Open to independent hair stylists in Ireland. Open to Irish based or Irish born professional photographers with a focus on fashion. Open to fashion models in Ireland. Open to fashion blogs in Ireland. Open to any professional individual or event working in fashion related businesses in Ireland. Finalists may be interviewed by the KFW judging panel. Open to any independent fashion retail business (clothing, accessories, shoes, millinery or online retailer) in Ireland. Finalists may be interviewed by the KFW judging panel. Open to any Kerry based or Kerry born Fashion Designer – all disciplines. Not open to entry. The judging panel will award this to an individual/company who they deem to have made significant contribution to the Irish fashion industry. Not open to entry. The judging panel will award this to the Irish based or Irish born Fashion Designer who they deem to have produced outstanding work over the past 12 months. It recognises the Designer who they feel have helped develop the Irish Fashion Design industry nationally and internationally. • Completion of Application Form. • Submission of Entry Requirements (listed above). • Judges review entries and selected finalists are notified. • Finalists collections showcased at Irish Fashion Industry Awards. • Winners will be announced at Irish Fashion Industry Awards on Friday 4th March. NOTE: KFW, in association with our valued sponsors, will provide professional production, photography, motion, models, hair and make up and event management to all finalists in order to showcase their collections. It is a condition of entry, that if you are selected as a finalist, you consent to purchase one ticket to the Irish Fashion Industry Awards in the Europe Hotel & Resort on Friday 4th of March 2016. Ticket options are available.